Banko Gotiti Cooperative is a small organisation established in 2012 as a separate entity from the much larger (and better known) Worka Cooperative. 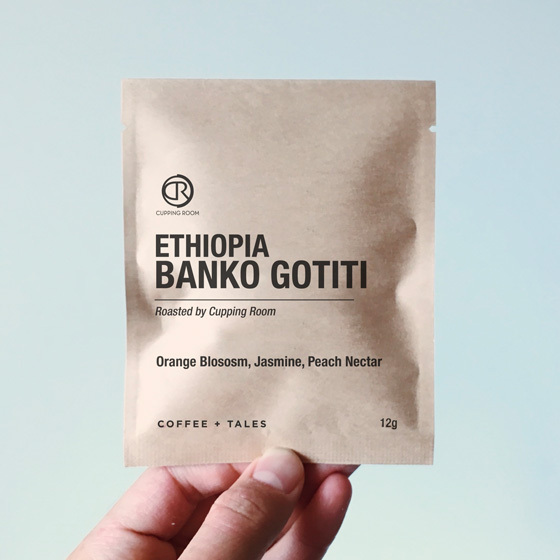 Since its inception, Banko Gotiti Cooperative has consistently produced exceptional coffees, some of which can be traced down to a single farmer, which is virtually unheard of in Ethiopia. The Co-op is located near the tiny village of Banko Gotiti, in the southern district of Gedeb within the Gedeo Zone, Yirgacheffe region, very near to where coffee is thought to have first been discovered! Expect a refined, elegant version of the classic Yirgacheffe profile that is full of floral citrus and jasmine tea aromas, with more citrus and peach stone fruit sweetness coming through in the cup.